 Get Exclusive Horoscope Prediction For Scorpio! Retrograde Mars in your House of Home and Family will show how fragile your family life is. Although you will be able to see what exactly is wrong with your relationships, you will be helpless to put them right. Only by the end of the month, you will find the required energy to fix your household situation. The same situation will interfere with your career. You will find it hard to have productive conversations with your superiors and work out plans at the time being. Try to be patient and use this opportunity to reconsider your projects and career goals. Positive changes are in store for you if you use this time-out wisely!